Siemens Government Technologies Inc. announced Monday that the company has received its first Euro-financed Energy Savings Performance Contract (ESPC) to help the U.S. government save energy and cut down on costs overseas. Siemens and the U.S. Army Corps of Engineers signed the $9.4 million contract to install, maintain and operate several energy conservation measures at the U.S. Army’s Installation Management Command (IMCOM) headquarters in Weisbaden, Germany. The measures include installation of a combined heat and power (CHP) plant, heating distribution plant improvements, numerous solar photovoltaic power arrays, and upgrades on lighting to enable new, light-emitting diode (LED) technology. Through the contract, Siemens will install a CHP system, high-efficiency boilers and an integrated building management system (IBMS) at the Wiesbaden Garrison, headquartered at Lucius D. Clay Kaserne 23 miles from Frankfurt. The Siemens Desigo CC IBMS links the central hot water facility including boilers and CHP with the variable flow heating hot water pumping system optimizing distribution in conjunct with producing electricity at a low cost. “Siemens is proud to once again be chosen by the U.S. Army to help strengthen our nation’s energy infrastructure, efficiency and security at a strategic federal government location outside the U.S. 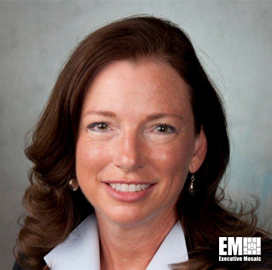 The U.S. Army continues to lean forward in using flexible financing arrangements such as ESPCs to save energy – and taxpayer dollars,” said Barbara Humpton, president and CEO of Siemens Government Technologies, Inc. The modifications are believed to save more than six trillion British Thermal Units (BTUs) over the 21-year performance period and serve as a foundation for energy security. The lighting upgrades will account for an additional 51 percent of energy savings over the current lighting costs. Siemens Government Technologies will work with a team of experts from the Frankfurt Seimens office for Energy Efficiency on this contract, an ESPC financed completely in Euros by DZ Bank and United Financial of Illinois, what is the first time Siemens has used the Euro to finance a U.S. federal project. ESPCs provide an alternative financial mechanism which allows federal agencies to reduce their energy intensity and costs by accelerating investment in highly-effective energy conservation measures at no additional capital cost. USAG Wiesbaden’s €7.9 million invested interest in energy conservation measures is funded by the €18 million in guaranteed energy savings, as well as the operations and maintenance of the conservation measures for the full length of the project. This project, combined with U.S. Army ESPC projects already in Germany, will push a result of over $46 million in savings for the U.S. federal government.